David Lammy, who represents London’s Tottenham in the House of Parliament, has announced his intention to run for the prestigious office of Mayor of London in the 2016 Mayoral election. 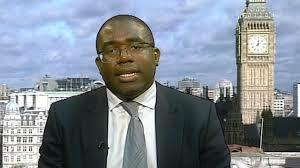 Lammy, the son of a taxidermist, was born and raised in Tottenham, north London. He went on to study at Harvard Law School in America and practiced law before joining politics. He is seen as one of Black Britain’s rising stars and has been predicted in the past as a possible Britain’s first Black Prime Minister. If elected as Mayor, he will not only be replacing Boris Johnson, the current controversial Mayor of London, but he will also become the city’s first ethnic minority chief executive with a wide-ranging power and he will be a running the biggest budget outside of the Palace of Westminster. Announcing his intention today, the former universities minister said he would place affordable housing at the heart of his campaign, with a pledge to introduce a "comprehensive programme" of rent controls. Lammy said as a Mayor, he will launch a government-loan scheme for developers to build shared ownership properties in order to significantly increase the number of such properties available. He said: “A significant lack of homes is now a critical issue for the future of London and a problem that requires a bold solution. We are facing some complex and contentious issues, which require a grown up and serious debate – issues like how we reclassify greenbelt land that doesn’t live up to its name and changing how we define affordability. But Lammy is expected to face a strong opposition for Labour party nomination in a contest that many expected to be the first open primary election in the party’s history. Other possible candidates include another London’s Black British MP and former shadow public health minister, Dianne Abbott. The possible list of candidates also includes political heavyweights such as current shadow justice secretary Sadiq Khan MP, Tessa Jowell MP and Margaret Hodge MP. Some have criticized Lammy for being too close to the politics of former Prime Minister Tony Blair and his New Labour ideologies while others praised his pragmatism and for the way he helped resolve the 2011 London riot, after the killing of a Black man by the London police. Lammy is 42 years old and he is married with two sons. He was elected Member of Parliament for Tottenham at a by-election in June 2000, following the death of the popular politician Bernie Grant. Following his re-election in 2001, David became the first Tottenham MP to hold a Government position since 1945.